Bhubaneswar: Thousands of farmers continue their foot march (padyatra) demanding the state government to fulfill their demands. On the 2nd day of the week long padyatra which will be ended in Bhubaneswar with a massive congregation of farmers from different parts of Odisha. ‘We are fighting for farmers’ price, pension and prestige. Most important of them is pension that the government has to announce as a matter of social security,’ said Akshaya Kumar, national coordinator of Navnirman Krushak Sangathan (NKS). 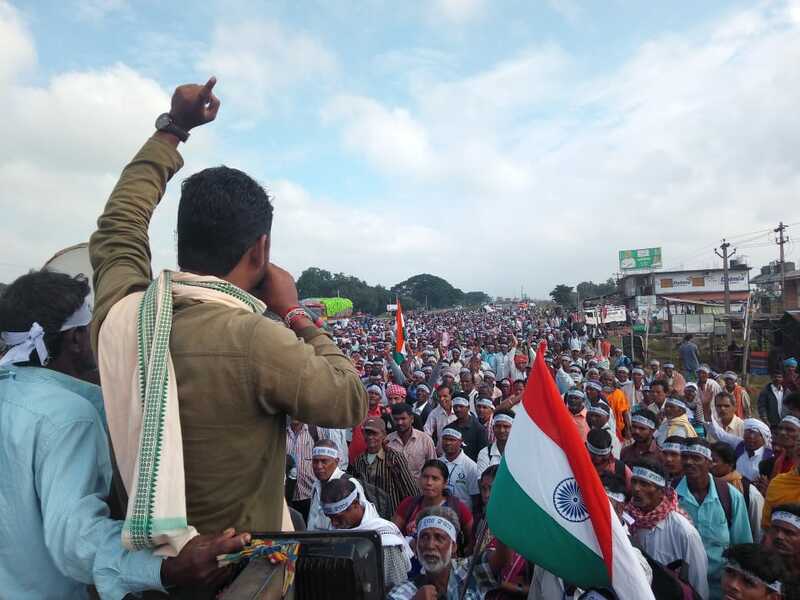 The rally which was started from Chandikhol in Jajpur district witnessed participation of about 20000 farmers.